<<< Home - Enrollment Information - Class Schedule - Course Descriptions - Evaluation and Exams - Directions to Soko Gakuen - EXTRA! 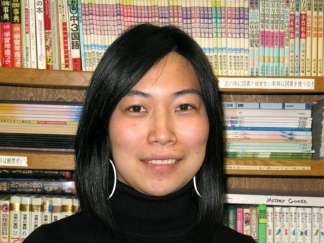 BA in English literature, Kwansai Women's College, Nagasaki, Japan; MA (2006) in teaching Japanese as a second language, San Francisco State University. Taught Japanese at California State University, East Bay (2006-) and at the University of California, Berkeley (2006-2007). BA in English, Shoin Women's University, Kobe, Japan; MA (1986) in language studies; and MS (2006) in computer science at San Francisco State University. BA in sociology, Rikkyo University, Japan; second BA in linguistics, the University of Hawaii at Hilo; MA (2011) in teaching Japanese as a second language, San Francisco State University. BA in English literature, Shirayuri College, Tokyo, Japan; MA (2014) in teaching English as a second language, San Francisco State University. Certified to teach high school, Japan (2007). Taught Japanese at San Jose State University (2017- ). BA in linguistics, Shinshu University, Japan; MEd (2006) in teaching English as a second language, State University of New York at Buffalo; and MA (2015) on teaching Japanese as a second language at San Francisco State University. Taught Japanese at the University of California, Berkeley (summer 2008). BA in English and American literature, Kanto Gakuin University, Japan; MA (1990) in linguistics, West Virginia University; studied doctoral courses in curriculum and instruction at West Virginia University (1990-1991). Taught English at Kanto Gakuin University, Japan (1993-2001) and Azabu University, Japan (1995-1998); taught Japanese at George Brown College, Toronto, Canada (2010); at Japanese Canadian Cultural Centre, Toronto, Canada (2001-2013); and at Diablo Valley College, CA (2014- ). BA in language and culture, Osaka University of Foreign Studies, Japan; MA (2007) in teaching English as a second language, San Francisco State University. 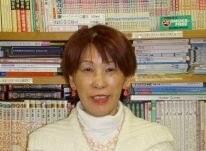 Certified to teach Japanese (2001), ARC Academy Japanese Language School, Osaka, Japan. BA in education, Aoyama Gakuin University, Japan; MA (1991) in pedagogical Japanese, San Francisco State University. Taught Japanese at City College of San Francisco (1989- ), at Skyline College, CA (1990-1994); at University of California, Berkeley extension (1991-1993); and at San Francisco State University (2001 & 2003). BA in law, Gakushuin University, Japan; MA (2007) in law, Golden Gate University, California. 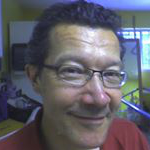 Tutored Japanese several years in the USA; taught at Waseda Academy, Tokyo (2009-2010). BA in English language and literature, Kyoto Notre Dame University, Japan; MA (2007) in teaching Japanese as a second language, San Francisco State University. Taught Japanese at Diablo Valley College, CA (2014-2015); at University of California, Berkeley ATDP Program (2007, 2008, 2011, & 2014); and at Woodside Priory School, CA (2010-2014 & 2015-). BA in business administration, University of Kitakyushu, Japan; MA (2018) in Japanese studies, Tokyo University of Foreign Studies, Japan. Taught Japanese at City College of San Francisco (2018-); at San Francisco State University (2018-). Taught at College of Marshall Islands (CMI), Majuro, Republic of the Marshall Islands (2013-2016). BA in international language and culture, University of Shizuoka, Japan; MA (2006) in teaching Japanese as a second language, San Francisco State University. Certified (2000) for the promotion of Japanese language education, Osaka Arc Academy, Japan. Taught Japanese at City College of San Francisco (2007-2012), and at the University of San Francisco (2007-2011). Soko Gakuen teachers are dedicated bilingual professionals who have master's degrees in second language teaching or language-related fields and/or many years of teaching experience. 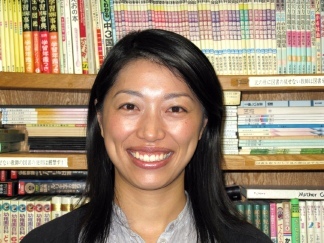 Soko Gakuen teachers make a monthly stipend that covers just their needs. Over the last 30 years, we have made conscious efforts to keep our tuition below comparable market rates based on Buddhist principles. Over a decade later, it's the only top-three language school run by a nonprofit organization, and a community of passionate volunteer-minded workers. We ask only for a small donation of $10, $25, $50, (or more if you can)... Your donation will only be used to cover teachers' bonuses (restricted contribution). Our school has served over a thousand people learning Japanese every year, but we run on a fraction of what other comparable schools spend. Please, if you can, help us support our school by giving a little more money to our teachers. Our teachers will really appreciate it. Thank you. Your generous CHECKS, PAYABLE TO Soko Gakuen, 1881 Pine Street, San Francisco, CA 94109.